The Mirror Project | Rodrigo Loyola | A mirror, a camera and me. Very clever, hm?! | S�o Paulo, Brazil. 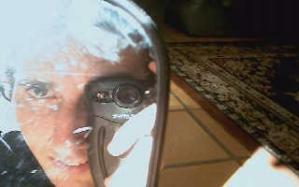 A mirror, a camera and me. Very clever, hm?! Just a picture to the Mirror Project... Okey, I'll try to do something clever in the next.